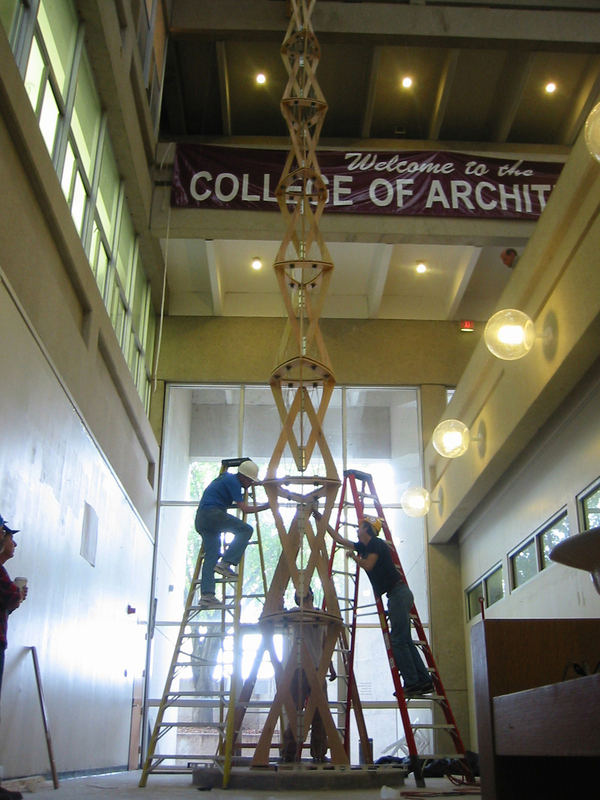 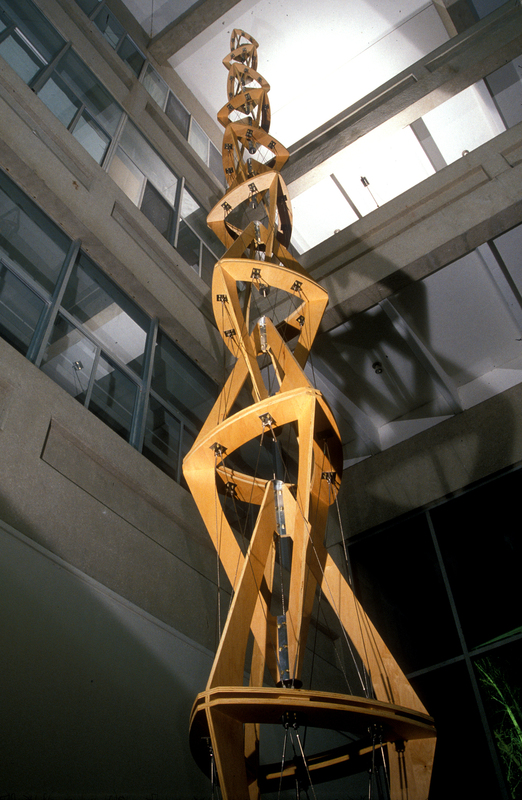 The 43' tall tensegrity structure is a dedication to Professor Alan Stacell at Texas A&M University. 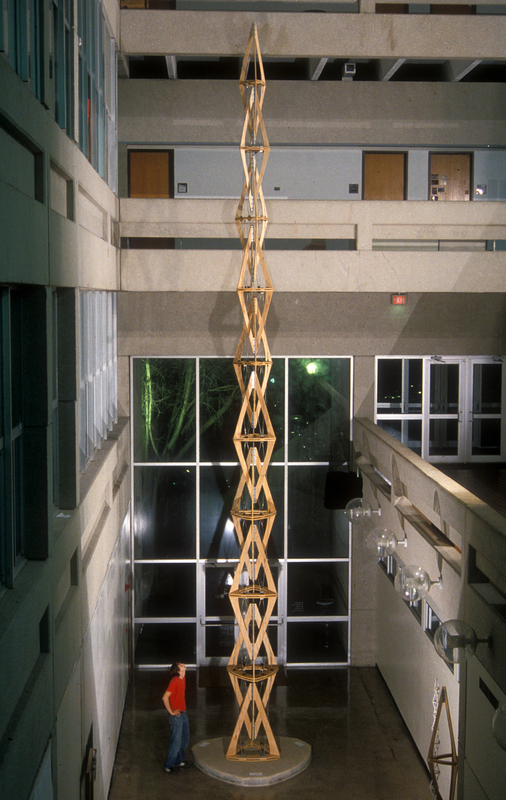 Inspired by a sketch from the artist and professor of architecture, Patrick Winn refined the design - creating an inverted diamond-shaped box truss, or chain where the links never touch. 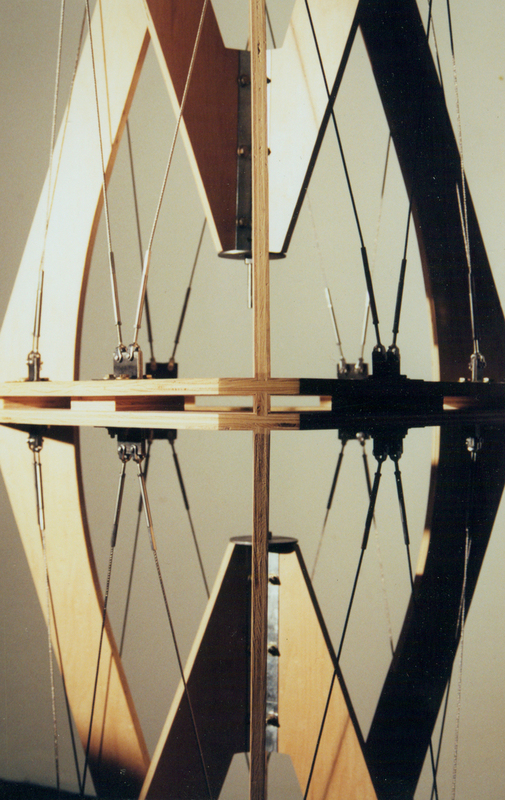 It was pulled together in both directions by tensioned cables that kept the structure in equilibrium.